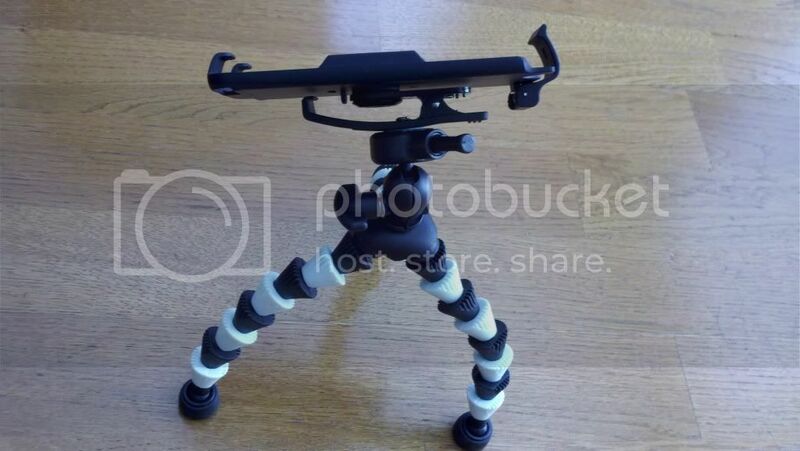 I'd like to use my Droid X on a tripod to shoot some video...nothing of super quality, just some stuff for youtube. I have a tripod for my old video camera, which I can also use for my digital camera, but I have no way to affix the Droid X to it. 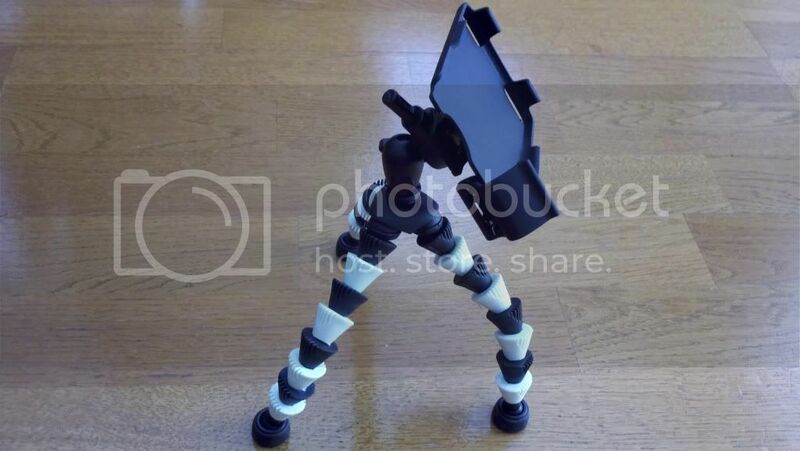 Is there some sort of adapter, or is there a tripod specifically for cell phones out there, that I could buy and use with my phone? I really dont think you will find a tripod for a cellphone, it is after all a phone.. Maybe you can find a universal pod (If there is such a thing..
Update: I thought about your question, maybe you can modify a car dock, when I was testing video feature I tried switching it to camera while in dock and video taped my driving route, maybe you can do this as well because when in the dock the camera is uncovered and the arm on car dock can be angled pretty easy, also there may be a number of cheap car docks that may work the same way but with stock dock you can charge while using. I felt compelled to create this, thanks to your idea. I bought the $20 hardshell/slightly rubber-esque "Holster" from my local Verizon store, and attached a "Flexpod Gripper" by Sunpak tripod that I found in the digital camera section at Best Buy. Now the holster is supposed to be used with the screen facing inwards, which makes it somewhat useless if you want to utilize it for images or video recording. But it fits just fine facing the other direction. Ironically, the half-moon cutout at the top exposes the camera just perfectly with the Droid facing forward. However, you will need to notch out areas for the camera button and the power/hdmi cables. If you don't, the side of the case will continually depress the camera button, making Droid unhappy and freeze up. Thanks again for the idea :-) Can't wait to share some sweet time lapse, close-ups & what not. That's a great solution to your problem. Its definitly not something I would have thought of but its a great idea if you don't have a dedicated video camera and tripod. Very VERY cool!!! Patent it quick and make some $$$! I have the Tetrax X-way DroidX mount that uses a mag-mount system. The mount clamps to my A/C vent . When I need a tripod I un-clamp the mount from my vent and clamp it to a tripod and let the "button" hold the phone solidly. Takes all of 10 seconds..